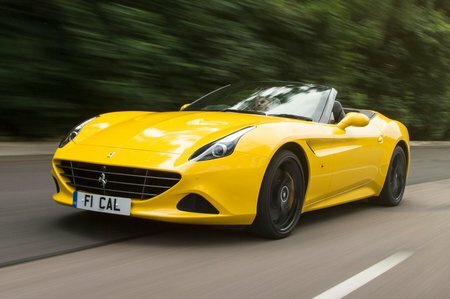 Ferrari California T Boot Space, Size, Seats | What Car? Both the California T Handling Speciale and the standard car are identical inside, apart from the former's HS badge. It’s a very comfortable interior that’s spacious (at least for the front two passengers) and lined with top quality leather, albeit without seeming quite as luxurious as a Bentley or a top-end Mercedes-Benz. The rear seats are next to useless, really, but are handy for bags and jackets. Behind the seats is a 340-litre boot with the roof in place and its space divider tucked upward. It’s not a bad space, proving fairly easily accessible and a certainly big enough for one large suitcase or multiple smaller and softer bags. However, roof and divider down, that space is reduced to a less practical 241 litres.